Kartikeya: A solo performance of Shanti Bose which has been handed over to him by Uday Shankar himself. The dance portrays the preparation of Lord Shiva's son Kartikeya to fight the demon Taraka. He takes the blessings of his mother Parvati, his father Lord Shiva and goes out to challenge Taraka to a fight to death. Completely based on Kathakali, this 5 minute presentation was composed and taught to Uday Shankar by his guru Shankaran Nambudri and remains one of the most treasured heritages of Uday Shankar. Samanya Kshati (The Minor Mistake): Based on Rabindranath Tagore's poem, Samanya Kshati is one of the rare adaptation of Uday Shankar, which has been carried on by Shanti Bose. The dance drama portrays the original poem in a wonderfully innovative manner. It is the story about a just king who has to take the harsh decision of punishing his queen in order to maintain justice and balance in the kingdom and in his conscience. The music originally composed by Ravi Shankar has found new magic under the direction of Bishnudas Sadhukhan, also previously associated with Uday Shankar's music team. 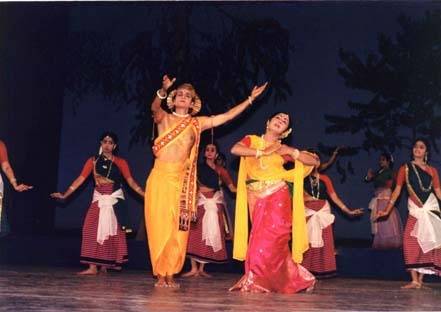 This dance drama possesses a creative combination of dance forms from all around India, from the folk dances of different provinces to the more polished classical dance forms. Tasher Desh (Land of Cards): The dance drama composed by Rabindranath Tagore hits the primary chords of life of modern day life, the power of will and the need to break age old rules. The Rajputra (the Prince) and Saudagar Putra (son of the merchant) go out into the sea to explore the unknown. They arrive at the land of cards where the people are traditional, follow age old rules without asking a question and regard Rajputra and Saudagar Putra as aliens to their land. It is the lively, spontaneous charisma of Rajputra which brings about a change in the lives of people of the island, even the King and Queen. Very bright in colors, involving many dance movements of Uday Shankar's "Labor Machinery" and with its frequent witty dialogues, Tasher Desh is captivating to one and all. Chandalika: Probably one of the most powerful dance dramas of Rabindranath Tagore, it deals with the love of an untouchable, Prakriti for Ananda, a desciple of Lord Buddha. Chandalika deals with various issues that have rarely been touched upon by Indian dance dramas. The love of Prakriti for Ananda begins as a combination of respect, emotion and passion, but in the end turns to a reverent platonic love through a number of events and dramatic twists and turns. The presentation of this dance drama follows closely the original presentation of Uday Shankar, Prakriti Ananda. Shanti Bose tries to bring out the same emotion and passion which he felt while composing for his Guru in Prakriti Ananda. Shyama: Shyama is a tragic love story of a merchant, Bajrasen and a court dancer, Shyama. This "Rabindrik" dance drama, unlike Chandalika, deals with the tragedy of Shyama who ruthlessly sacrificed the life of a young man for her love, Bajrasen and Bajrasen himself, who has to decide between his conscience and his love for Shyama. Shanti Bose's portryal of the Bajrasen is a an experience which will forever remain in the minds of people. 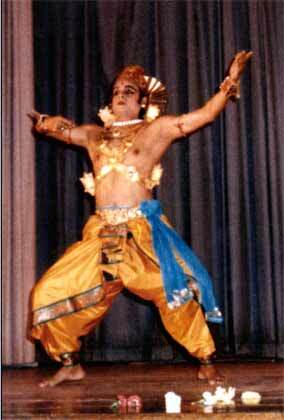 He had first composed the dances while he was still associated with Santosh Sengupta's Sura Mandir. With a lot of traditional classical dances, this dance drama has been popular to all audiences. 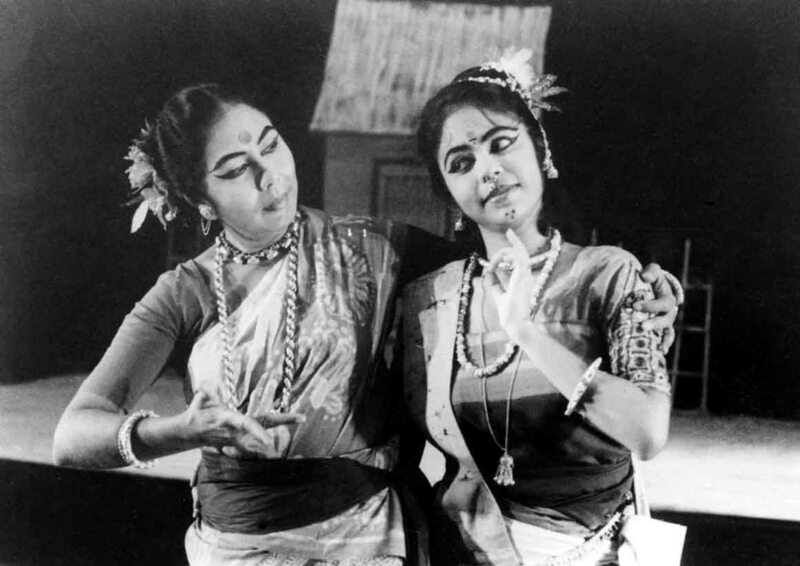 Chitrangada: Chitrangada is probably the most popular and frequently performed dance dramas of Tagore. 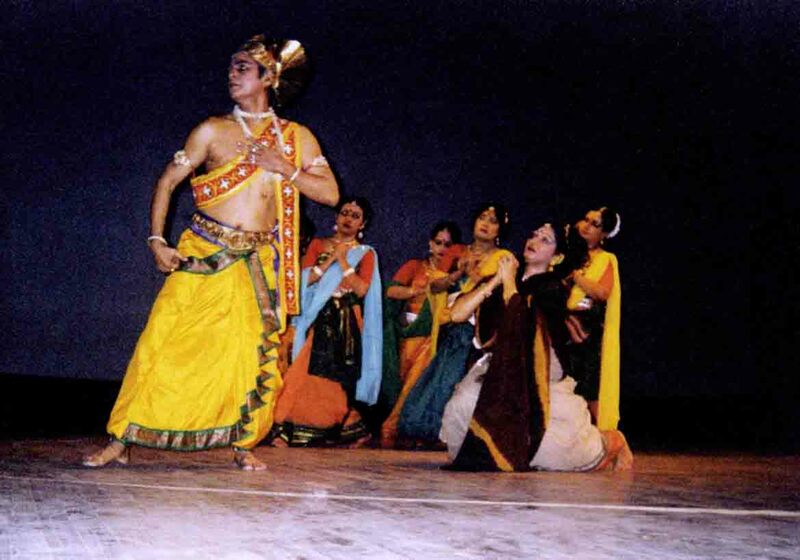 The dance drama is set on one of the stories of Mahabharata with Arjun as the central character. During the 12 year exile, Arjun sets out to explore the country as a hermit and learn new arts of war. It here that he falls in love with the princess of Manipur Chitrangada and finally marries her. Shanti Bose's rendition of Arjun is full of power and passion. This lively and colorful dance drama is loved by one and all. Mahajiban (Life of Buddha): Mahajiban is based on on the life of Buddha from his childhood through his Nirvana. 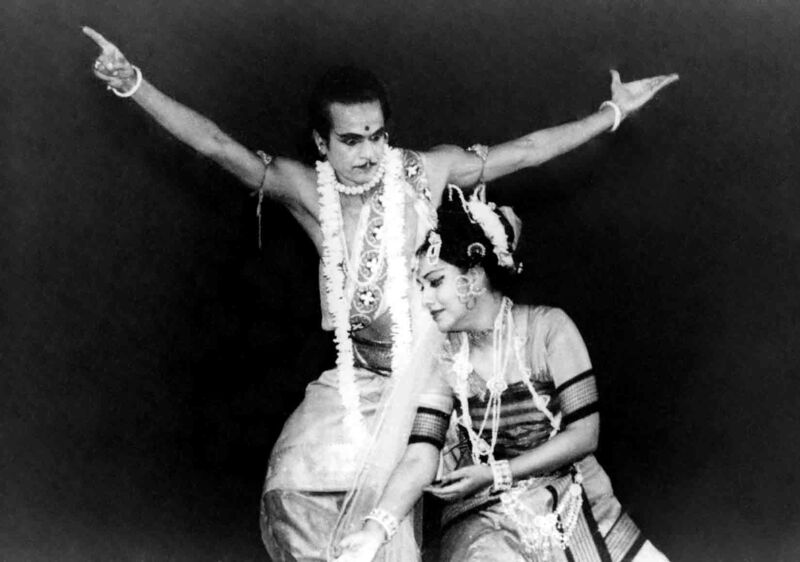 Originally played in Uday Shankar's group, this dance drama possesses the same magic and most of dance movements of Uday Shankar. Barsha-Basanta: A bouquet of dance compositions set to the songs and poems of spring and monsoon by Tagore, it is an ideal evening performance for any occasion. 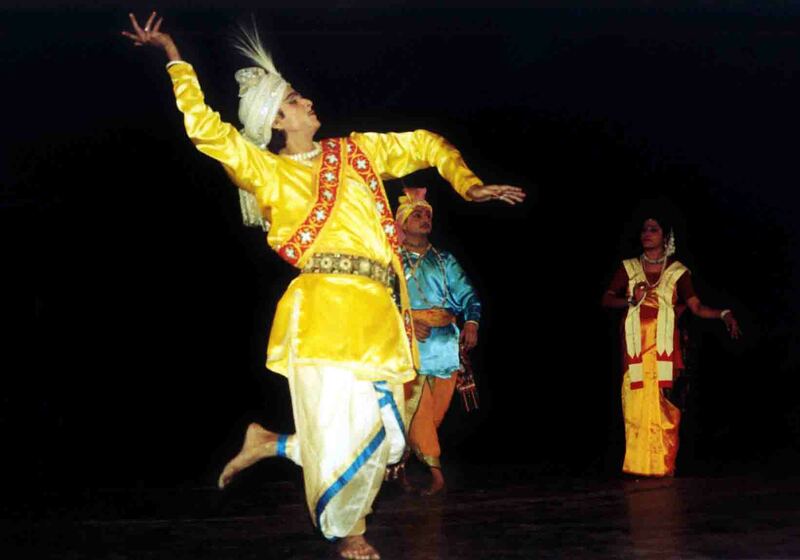 It includes solo and group performances by Shanti Bose and dancers Nrityangan. Folk Dances of India: Shanti Bose has traveled all around India along with Jogen Sunder's troupe of Indian Revival Group, learning and collecting folk dances from different corners. This presentation reflects his travels and his passion for the roots of his country. 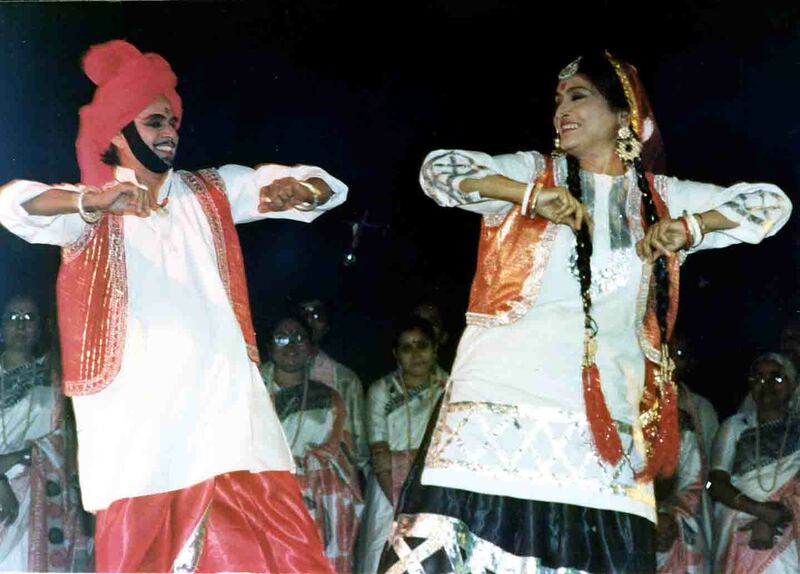 The lively folk dances include Madia of Madhya Pradesh, Santhal of West Bengal, Bhangra of Punjab, Garba of Gujarat and Astra Puja of Rajasthan.